Ever wondered how it would feel to encounter a tiger or its co-habitants while walking in a jungle? 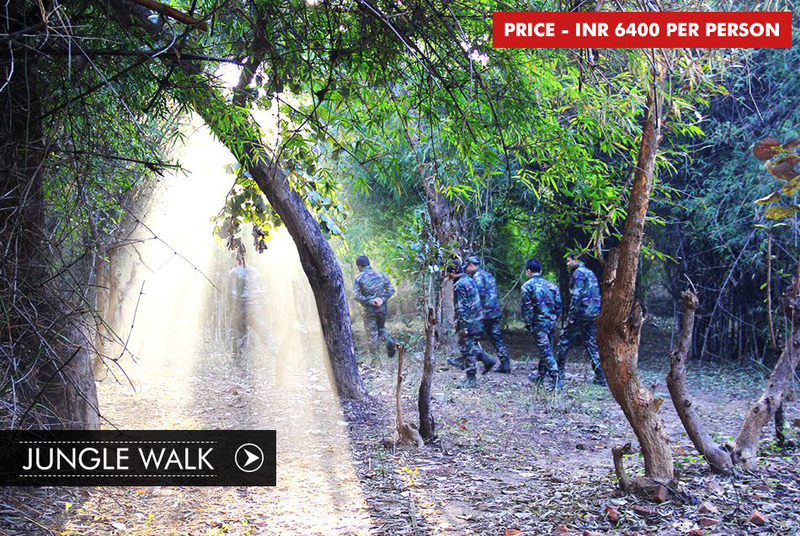 Jungle walk is a programme which includes a tour of the entire forest area by walking. The unique part about this concept is, while walking you will feel vulnerable with excitement, thrill, as well as a rush of adrenaline. Moreover, this is one of the most interesting forms of jungle safari in India as the best sightseeing is accomplished while walking. Your full body works to its potential, hence, bringing out the best in you. This Bandhavgarh jungle safari is made possible with the help of highly trained personnel and staff of Bandhavgarh 365 who take care of every tiny detail pertaining to the needs and security of the travellers who opt for this unusual but popular activity at one of the best national parks of India. One can book this jungle safari India through by contacting us through this website. We offer great prices that will leave no confusion whether to take the activity or not, because once you get to know you would want to experience it, too. © 2017 Bandhavgarh365.com. All Right Reserved.